A fast-flowing river reflects early-autumn foliage on a sunny morning. Here’s a sample of what it’s like to be a landscape photographer searching for a scene: the other morning, I had in mind an image of light fog lifting in the early-morning sunlight, shadows being cast by trees. I had the perfect location in mind too. Unfortunately, the weather didn’t want to cooperate and the conditions just weren’t right. Plan B was to head down to the river and check out the progress of the fall color. Peak fall color should reach the Richmond area in early to mid November, so things were mostly green with some hints of warm tones mixed in. Recent rain in the area had the river flowing at about 7 feet, so many of the rocks normally visible were submerged. The river was also flowing fast enough that ripples on the water could be seen, rendering reflections as brush strokes from nature’s paintbrush. And that’s the scene I captured that morning. 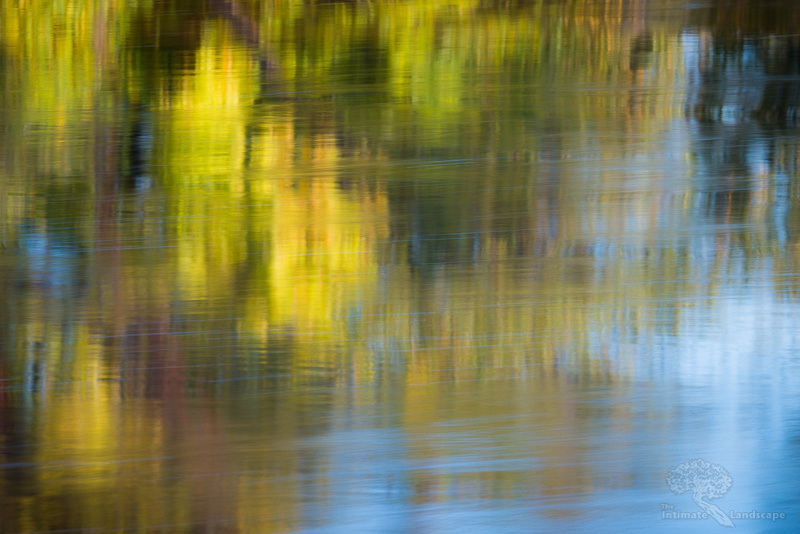 This entry was posted in James River, Landscape Photography and tagged autumn, foliage, impressionistic, river, water.